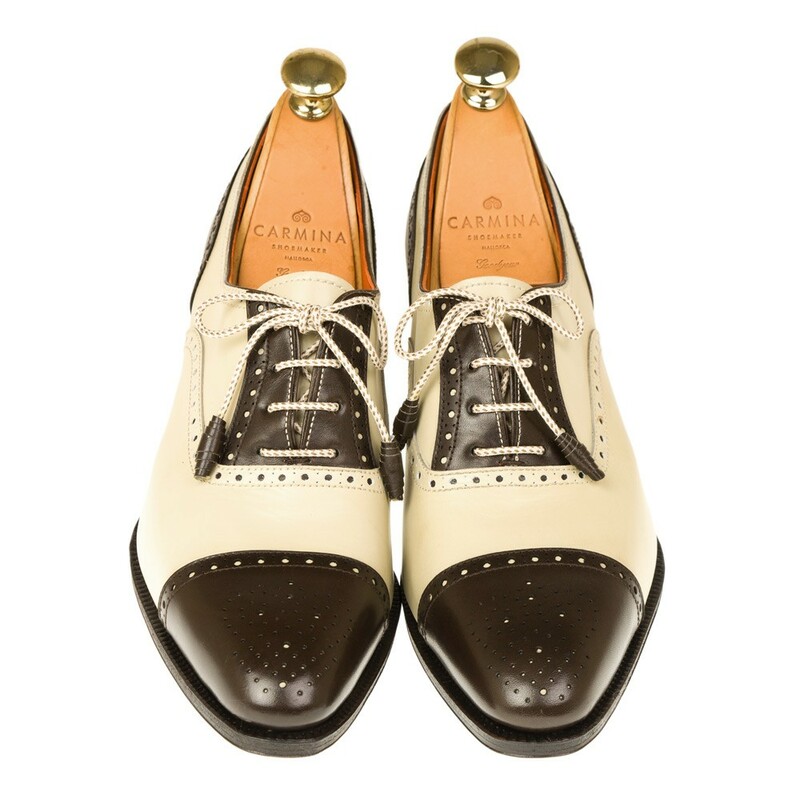 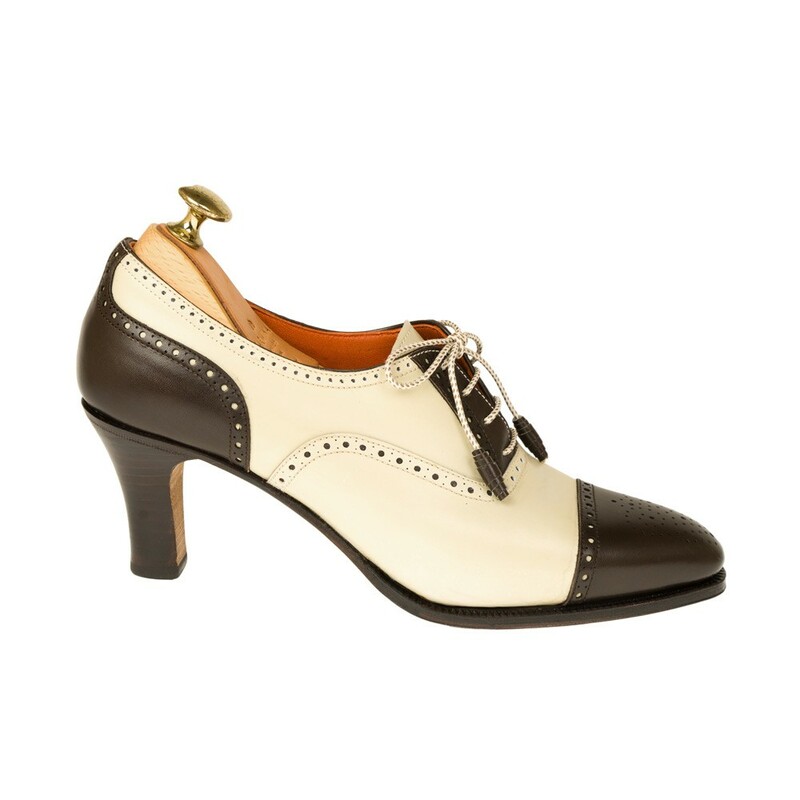 High heel Oxford in brown vitello & bone vitello. 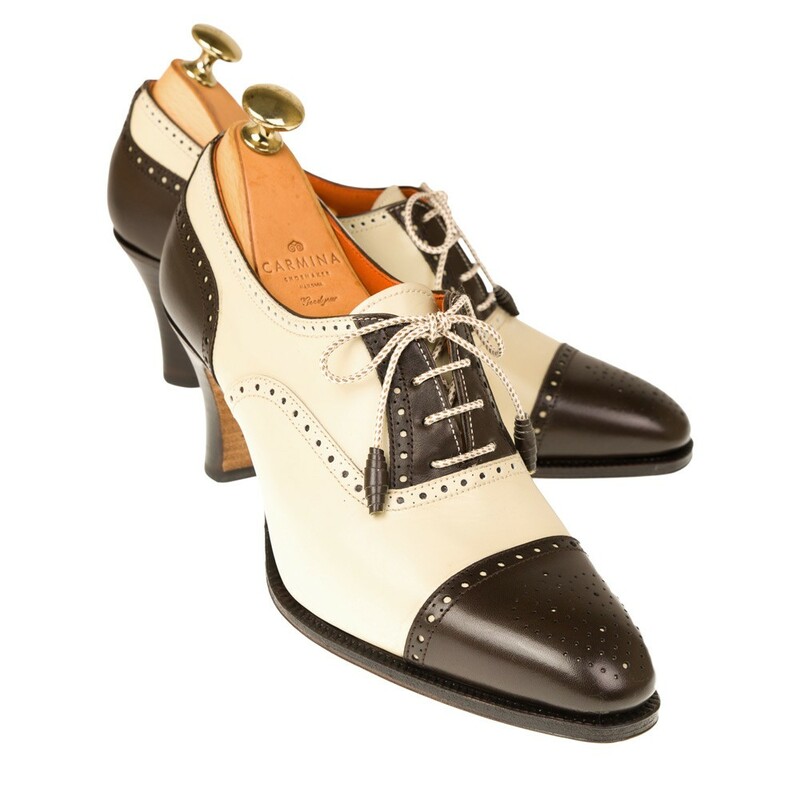 Featuring a 70mm heel, Finished with a leather sole in a refined Goodyear welt-construction and calf lining. 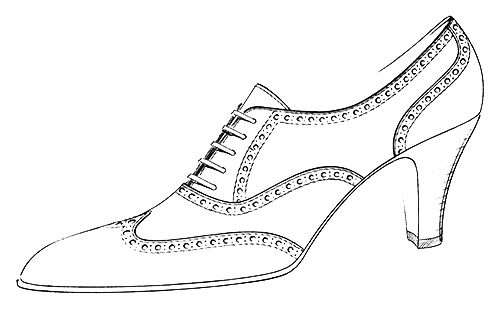 Style assembled on LLuch 70, considered the house's most elegant last. 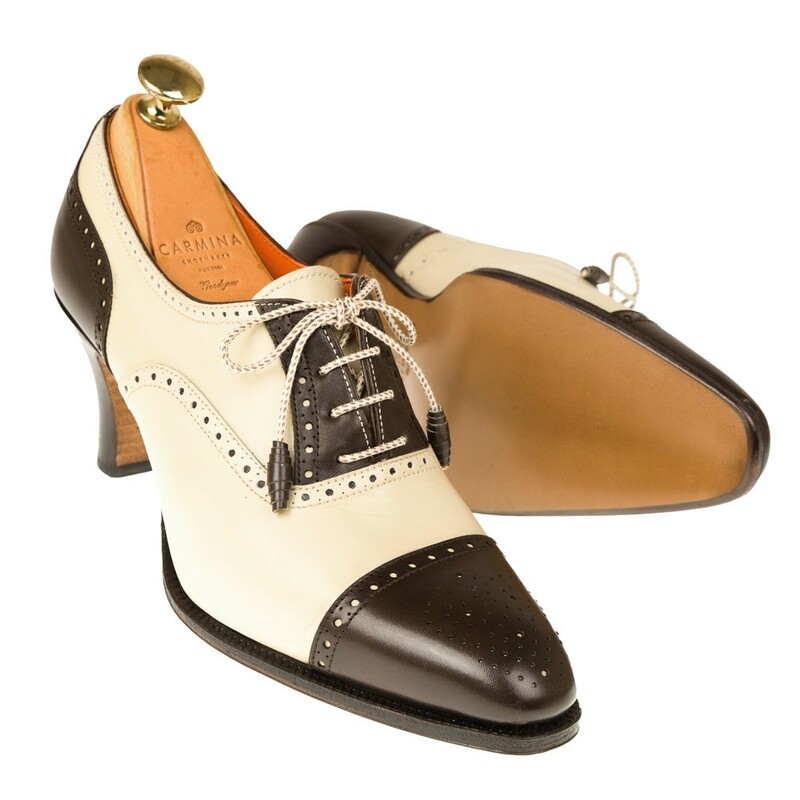 Known for its narrow and squared tip along with its low instep, it is ideal for smart and elegant styles.